Work and travel – and get yourself a great hostel jobs. How? Of all the ways to pay for a little extra time on the road, working in a hostel has to be top. It’s pretty much a no-brainer as to why. You’re in a backpacker hub, surrounded by likeminded people, most who are on the same path of adventure and self-discovery as you. Pretty much everyone is out for a good time and, seeing as hostels are pretty laid back places, you’ll always have at least a little spare time to join in. That being said, it’s not easy. Like any place of work, you have to prove yourself. Positions are hard fought over and it’s no secret as to why. Still, at the same time positions are relatively fluid, there’s opportunity to progress and you can learn a fair few transferable skills too, other than the obvious cleaning and customer service. 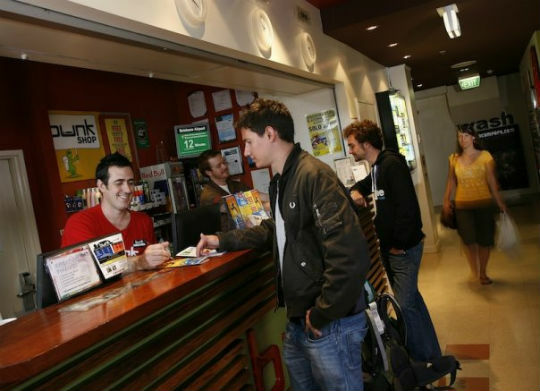 Here are some top tips on how to secure that position at a hostel while on the road. Just like any job, standing out from the rest of the applicants is going to go a long way to helping you secure a position. This can be anything from professional experience, qualifications or training, to just simple life experience. Seeing as you’ll be working in a very international environment, the one skill that is really going to stand out is language skills. 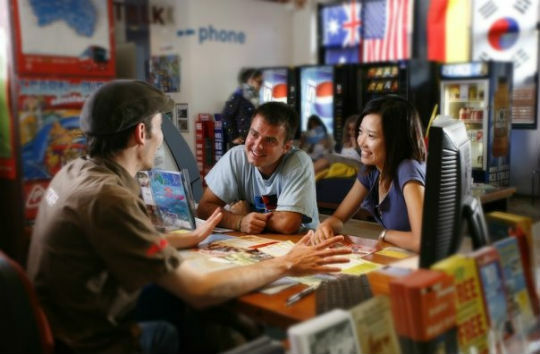 Naturally, hostels want to be able to effectively communicate with as many different guests as possible, so will want to tick off as many different languages as they can. If you can speak a language no other staff member can, that’s really going to help you to pull ahead. But there’s plenty besides that’s transferable. Able to put on a show behind a guitar or take to the stage as a confident stand-up? Well the hostel will be happy to utilise those talents during social evenings. If you have experience organising events, or even a qualification in that field, it can help you get an entertainment officer job or similar. History could get you a position as a tour guide or experience working in a kitchen could help you secure a job as the chef. Previous experience not only helps you stand out, but also allows you to apply for more interesting and niche positions. This might not be a viable option if you intend on hitting the road with no master plan, but if you do have a vague notion of the towns and cities you want to experience, then securing positions before you leave is a great idea. Some large chains advertise on their websites, like Nomads, meaning you can apply to them direct and there are plenty of websites and forums that list other hostel job vacancies as well. Two popular sites are hosteljobs.net and hosteltraveljobs.com, which list all kinds of positions; not just desk workers or cleaners, but more specialised positions like tour guide or events manager. If you plan on applying before, then treat your application like you would any other. Sure, hostels are laid back and fun places to work, but that doesn’t mean you should lame out on your application. Write a full CV detailing your past experience, tailored toward proving why you would fit the position perfectly. Include all the usuals, like work experience, qualifications and personal interests (one of which should be travel), and really labour where skills match. Nomads have hostels all over the world. Book a stay with Nomads on Hostelworldtoday. Competition is fierce for the big hostels, and being a remote character only represented by a few words on a piece of paper or computer screen is so much less personal or tangible than if you were there in front of them. That’s why guests already staying in a hostels with job vacancies have a good chance of hoovering up positions before a remote applicant. So, what the best method for securing a job while staying at a hostel? Well, first you need to know if there are any positions going. It’s fine to politely ask the staff – and don’t be disheartened if there aren’t at first as new positions come up all the time in this industry – but what you don’t want to do is bug them every hour of the day. Becoming the irritating, whiney person pestering for a job is not going to win you any brownie points. Showing your work ethic is important. Make sure you help out. Do a little light cleaning, maybe do the dishes, wipe surfaces and the like. This will not only get you get noticed, but the existing staff and managers are going to like you a hell of a lot more, since you’re making their job easier. You could also help out with a little light administrative work if your interests lie more in managerial or organiser roles, or offer to take out guests for free and show them the sights if you know your stuff and are looking for tour guide roles. This will make you stand out much more than bugging the staff every few hours. Whatever it is you want to do, be willing to do it for free at first to show that you’re competent and willing. It seems to be an unfortunate symptom of our current economy and job market, even in more laid back industries like this, that most jobs need to start with internships. Think of this as a form of interning. Again, like in all industries, knowing someone already in the industry can be really helpful. While you travel, make sure you open up to as many new people and new experiences as possible – you never know who you might meet. If you’re lucky enough to bump into a hostel assistant-manager on that climbing course in Thailand, then remember climbing is thirsty work and they’ll be happy for that beer or three you buy them. Even simple staff members will be happy to put in a good name for you, so long as you make a good impression. Same goes with hostel guests. If you want to work in the hostel you’re staying in, make friends with as many guests as possible. Help them out when they needs it, lend a hand with their bag, take them out for the evening and show them the best places to eat and the best places to party. After all, hostel work is social work and you have to prove you’re a social being. And it’s worth it, all of this. Going to the trouble of creating a stunning curriculum vitae, pouring yourself all over the page of your cover letter, lending a helping hand for free and going that extra mile with the people you meet will provide you with heaps in return. Free stay, free food, perhaps even a little pay. All this can help you expand your trip to be much longer than it would have been. But it’s not just about the material gain, the experiences and like-minded people you meet will stay with you forever. And after all, it’s all work experience. If you do ever decide to come back, no one can say you just went on an extended holiday, because you worked to sustain yourself and stay on the road. Not only did you have the courage to see the world, but were responsible enough to work too, and any organisation worth working for is going to find that impressive. Planning on a trip around the world and want to get a little face-to-face time with the hostels? 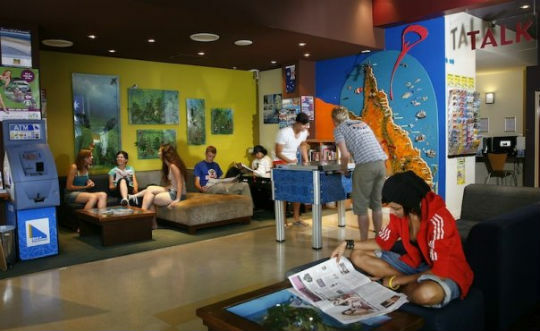 Book your stay in some of the biggest hostels around the world with Hostelworld. I’m quite intressted in working in a hostel called “l’ane vert” in Tafedna, Morocco. I’ve stayed many times in hostels in Spain and Croatia , each time was a great experience. I love Hostels , i think its mainly due to my sociability , love for communication and meeting peolpe from different backgrounds and cultures. I am a business student and this year is my second year studying spanish. A language that happens to be my fourth after Arabic , English and French. That sounds like an awesome plan! You’ll need to reach out to the hostel directly if you want to inquire into any work opportunities as we don’t directly own the properties.